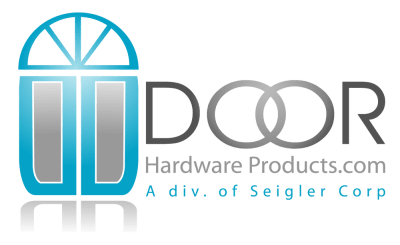 The Door Hardware Products story begins in 2000 when Steven Seigler opened Doors and More. A small two man local commercial door and hardware installation company that traveled Virginia, North and South Carolina and installed division 8 and 10 hardware and bath partitions. He worked for everyone, contractors and distributors alike. This went on for about 7 years and then the economic down turn came, He saw an opportunity to open a store. So with all the extra time he had being unemployed and all, he learned how to build web sites and DHP.com was born. He sold hardware online to supplement his slow installation sales at the time and with the support of his very beautiful, supportive and hard working wife Riki, it worked pretty good. So he started courting sales reps from many different companies and began selling there products online. This went on for 3 or 4 years and he had enough business to open an actual brick and mortar store. Now we have moved from our original 1000 square ft shop to a much larger shop now with $100k in inventory and continue to grow even now. We are a service based company, our roots in installation have given our customers great service. We don’t mind driving an hour to put on a lock set, we do it all the time. We get paid by the hour for it but we do it all the time. 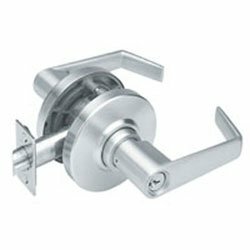 We have a great team here at Door Hardware Products and we would like to share our great service with you and your company. So if you need it supplied and installed or just installed, give us a call and well give you some service.